If you've every walked by the corner of Broadway and 11th Street, you may have noticed a large, rather regal-looking cast-iron building. 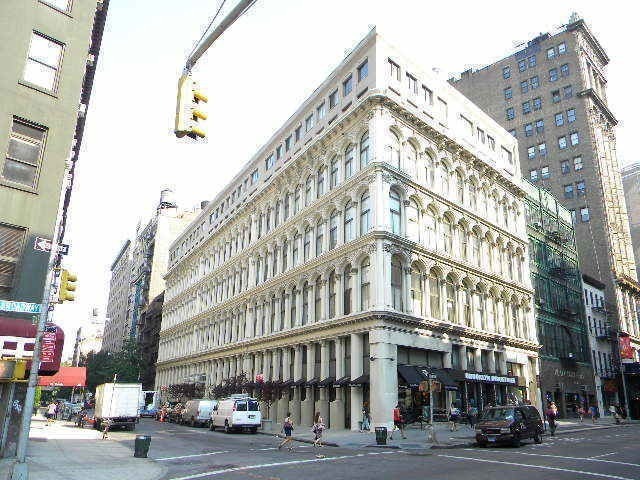 Known as 801-807 Broadway or 67 East 11th Street, it was once home of the undeniably upscale James McCreery & Co Store, and has been on the pending list of the Landmarks Preservation Commission for more than 50 years. 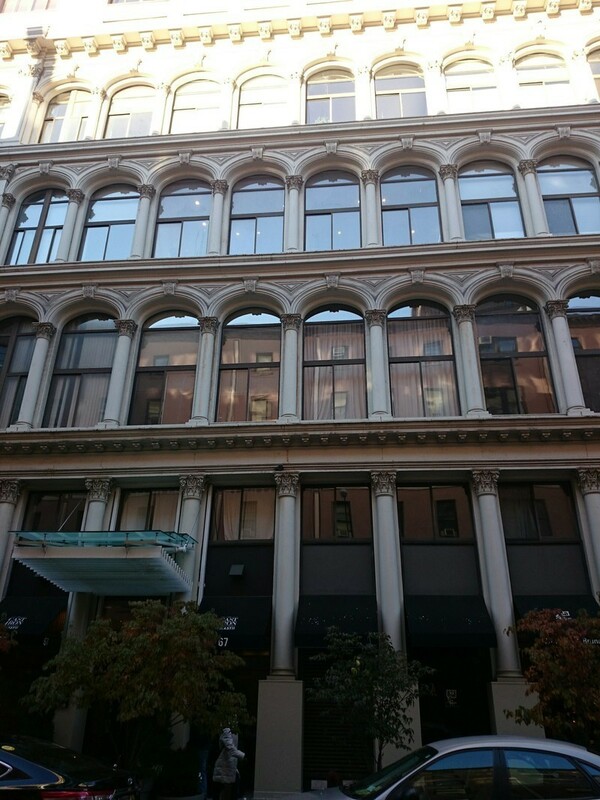 In the mid-1800s, when cast iron came into fashion as a sturdy, affordable and relatively fireproof building material, many architects used the medium for the commercial buildings they were designing, and McCreery’s was a 19th-century shop that catered to the “carriage trade” when the phrase was literal—in other words, back when people actually went out to shop in their horse-drawn carriages. 1. When first built, it was considered a star in the constellation known as "Ladies’ Mile"
Just three years after the end of the Civil War, James McCreery was part of a new cohort of merchants moving “uptown” from locations on lower Broadway. 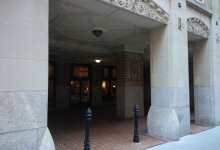 McCreery made the move to 11th Street in 1869, one year after the building, designed by architect John Kellum, went up. Kellum, known for his work in cast iron, introduced a new kind of show window with extensive glazing in the structure, perfect for displaying the glamorous merchandise inside, according to Berman. The area around the new McCreery’s, from Ninth to 23rd Street, had been a manufacturing district and was fast becoming a fashionable residential and shopping area. 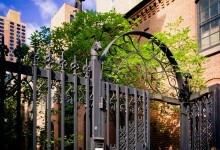 The Episcopal Grace Church just across Broadway was the place where the wealthy worshipped and were married. Eventually the area got the name the “Ladies’ Mile,” the stretch from Ninth Street to 23rd Street becoming the place for well-to-do women to stroll, shop and socialize. In King’s Photographic Views of New York, a popular handbook of the time, McCreery’s was described as having bright sunlight in the windows and 20-foot ceilings. And, in an ad in that same publication, the emporium’s copywriter invites the attention of out-of-town buyers as well as local ones to its “large, attractive stock of silks, velvets, dress goods, laces, trimmings, India shawls, hosiery, gloves, ….suits, wraps, childrens’ outfits and housekeeping goods.” The ad goes on to say that the store welcomes “correspondence from any part of the U.S.” and that “orders by mail or by express will be filled without delay.” Not exactly Amazon but probably the closest thing the 19th century could come to it. One of the businesses that leased space in the McCreery building was Fleischmann’s Restaurant, the successor of Fleischmann’s Model Vienna Bakery. Yes, Fleischmann’s yeast, still sold in supermarkets today, was their product. Fleischmann’s began the idea of the “bread line,” long before the Great Depression. Employees handed out coffee and the day’s leftover bread to people in need starting at about midnight each night. A 1909 article in the Times says that after a fire in the restaurant, the “soldiers in this army”—250 of them—waited outside the kitchen the day after the fire. Management promised them that the distribution would continue in a few days as soon as the insurance claims were settled. How optimistic is he about that happening? 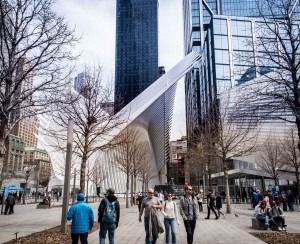 “ I don’t think the idea that this great piece of NYC’s history is worthy of recognition and preservation is going to just entirely go away,” he says. Does all this history make you want to move right in? Then you’re in luck. At the moment, there are two apartments for sale and one for rent in the building. It's not unusual for apartments to become available, so even if these are gone when you get to them, just sit tight. A two-bedroom duplex with two outdoor spaces, one a modest-sized balcony and the other a 15-foot-by-21-foot terrace. This duplex apartment is 1150 square feet, has white oak floors and on the second level, a room that can be a second bedroom, home office or den (shown above). The cost: $1.29 million. 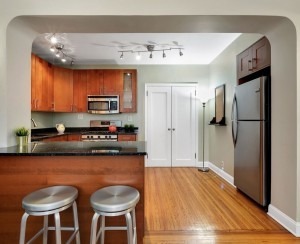 There's also a one-bedroom duplex with outdoor space, asking $1.15 million. 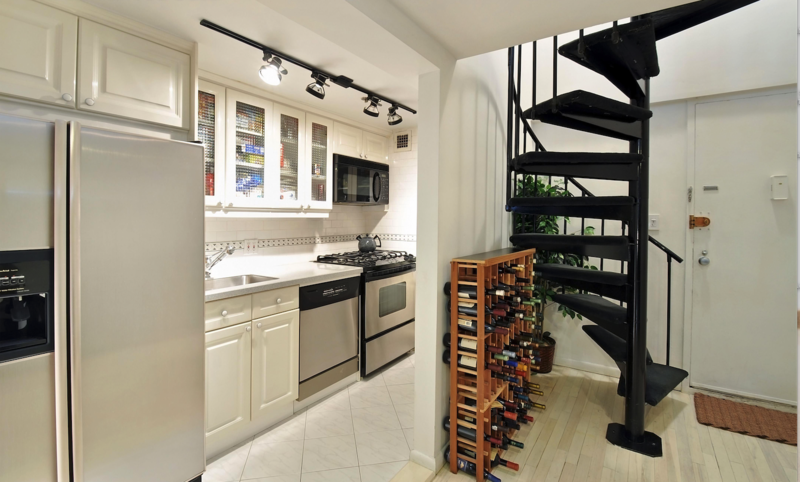 If you prefer to rent, there’s a one-bedroom duplex with 14-foot ceilings, oversized arched windows and a wonderful feature--one of the original cast iron columns-- that stands just inside the kitchen area. The monthly rent is $4,200. *** This building was suggested by a reader to profile. If you've noticed a building you'd like to learn more about, email us at [email protected] and we'll try to help.